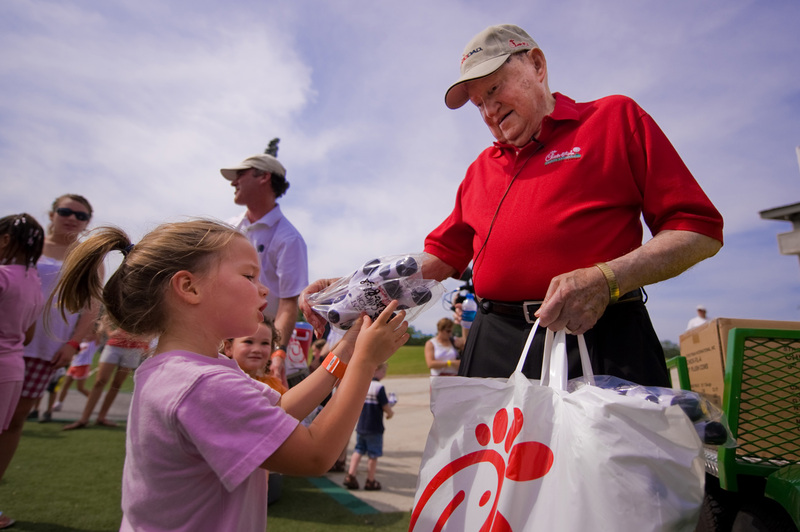 At the age of eight, young Truett Cathy experienced the feel-good power of customer service. He was selling Coca-Colas door-to-door, buying a six-pack of Cokes for a quarter and selling them for a nickel each. It was the summer of 1929, before air conditioning and even refrigerators for many homes, and every afternoon the lady who lived across the street from the Cathys sat on her front porch drinking a Coke. But she wasn't buying them from Cathy. Somehow he had to add value to his product to convince her to buy his Cokes. One day his neighbor told him that he could sell more Cokes if he would ice them down. 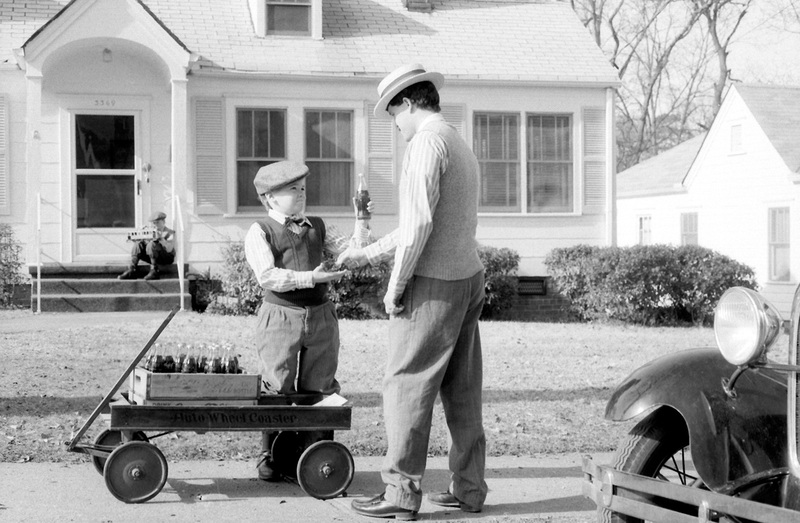 Taking her advice to heart, he set up shop in the front yard and chipped some ice from his mother’s icebox to chill his Cokes. Not only did his neighbor buy from him, but so did other people coming home on hot afternoons. They were happy to pay a nickel for cool refreshment, and the young Cathy experienced the joy of making his customers’ day. This photo is a a reenactment. Truett Cathy is not pictured in this photo. A few years later, when he was a teenager delivering newspapers, Cathy treated each customer like the most important person in the world. “I delivered each paper as if I were delivering it to the front door of the governor’s mansion,” he said. He made sure they didn’t have to dig through the bushes for their paper, and on rainy days he found a dry spot at every door. Though he didn’t have as much face-to-face contact with his newspaper customers, they expressed their appreciation when collection day came. Over the years, those and other experiences reinforced Cathy’s deep love for customers. 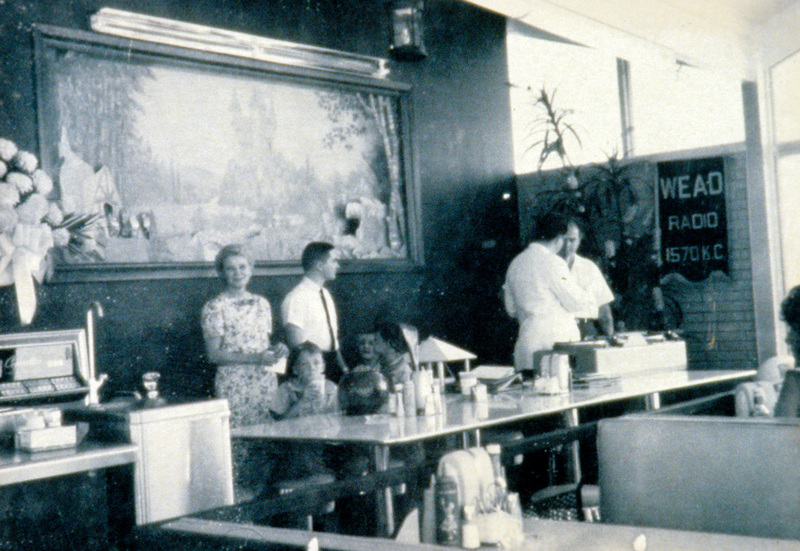 When he and his brother Ben opened a 24-hour restaurant in 1946, they worked alternating 12-hour shifts. “We built our business and made friends at the same time, always seeking to meet their needs wherever we could,” Cathy would recall years later. If they learned that a customer was in the hospital, they sent food to the family. They did the same for customers’ families when someone would pass away. Cathy was visiting a high-end hotel, and when he thanked an employee, the man helping him replied genuinely, “My pleasure.” Cathy felt his sincerity, and the memory of the man’s smile and those two little words stayed with him for several days. He decided to ask his restaurant owners, team members, and even his corporate staff to respond with “my pleasure” whenever someone said thank you. “My pleasure” became an expression of love for customers. Almost immediately Cathy began receiving letters from customers telling him about their experiences after hearing restaurant team members say those magic words. It was genuine, and customers knew it. Through the years Cathy found many other ways to have fun with customers. When the Chick-fil-A Cows were introduced in 1995, he quickly learned that the cows made people laugh. So wherever he went, he always brought at least one bag of small plush cows in the trunk of his car. He would walk into a Chick-fil-A restaurant or even an airport carrying a bag of cows and passing them out—especially to children. But never before asking, “What do the cows say?” When he heard the right answer (Eat more chicken, obviously) then he shared another cow and another smile.